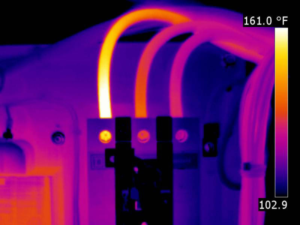 Server room thermography is ideal for all big company. Using this services, company can save hazards of data loss and other network losses related issue. cooling system is not enough or some of the server port are getting heated abnormally due to any other reason – can be picked up to notification of company by this.